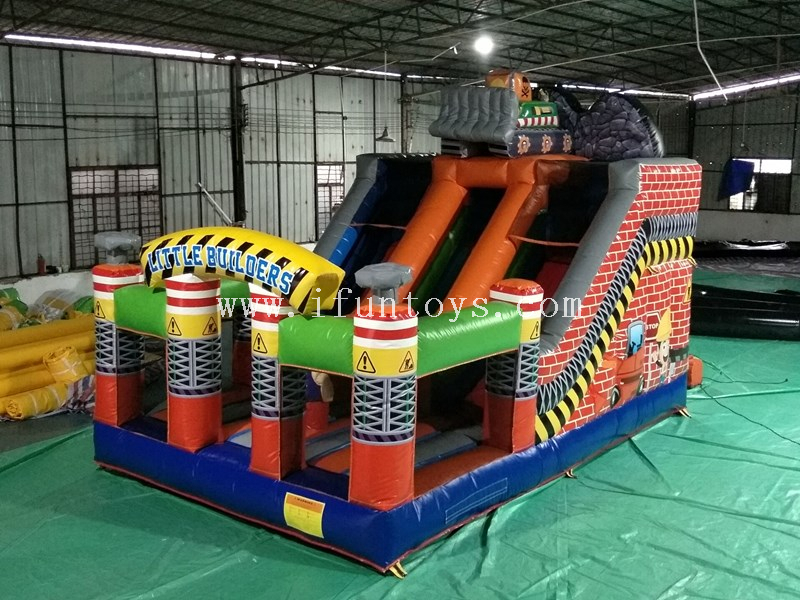 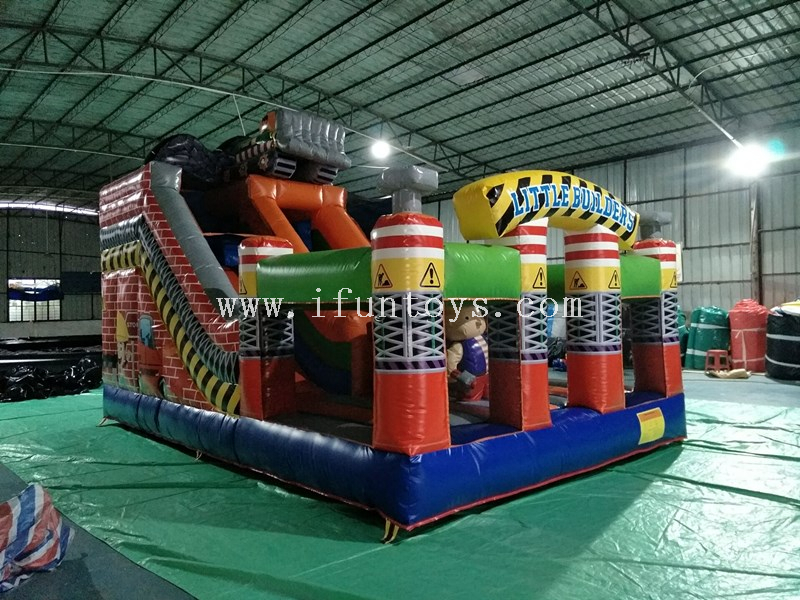 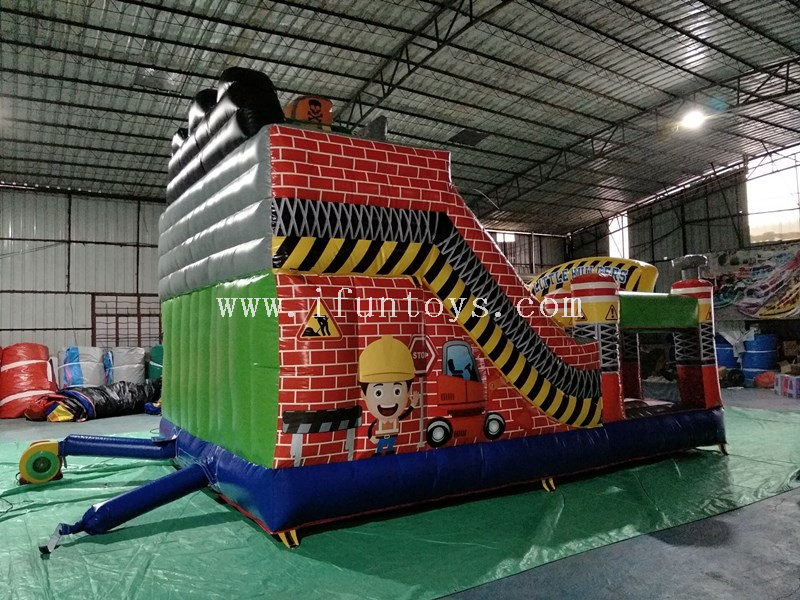 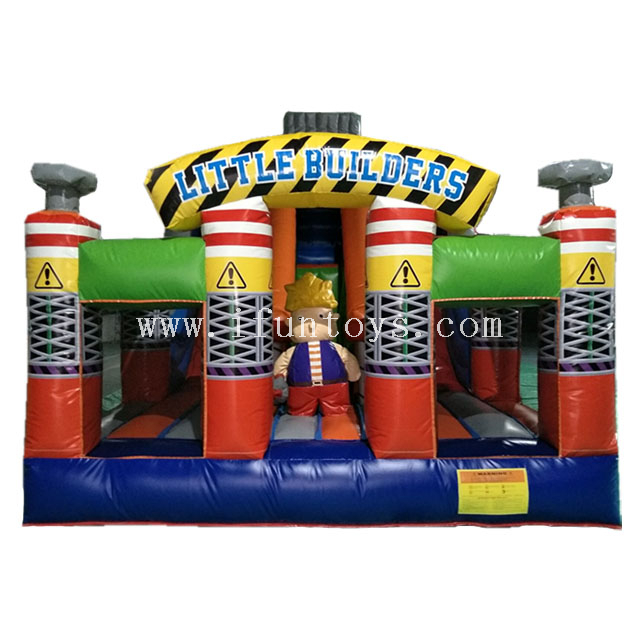 little builder bounce slide: with little builder printing and design, 1 bouncer is combined with 1 slide. 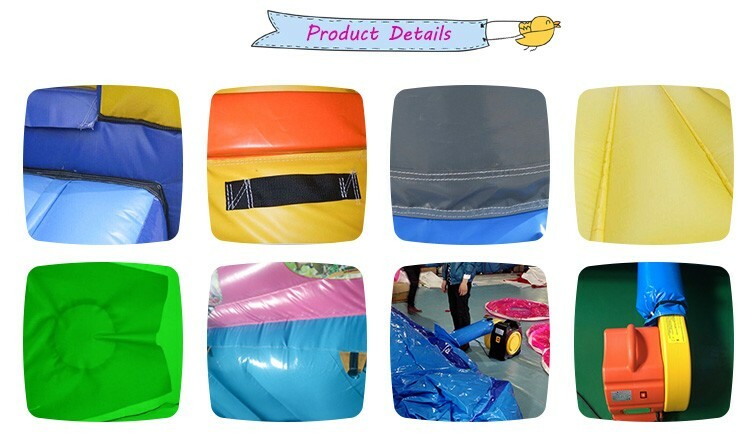 attractive design, very popular by kids / toddlers. 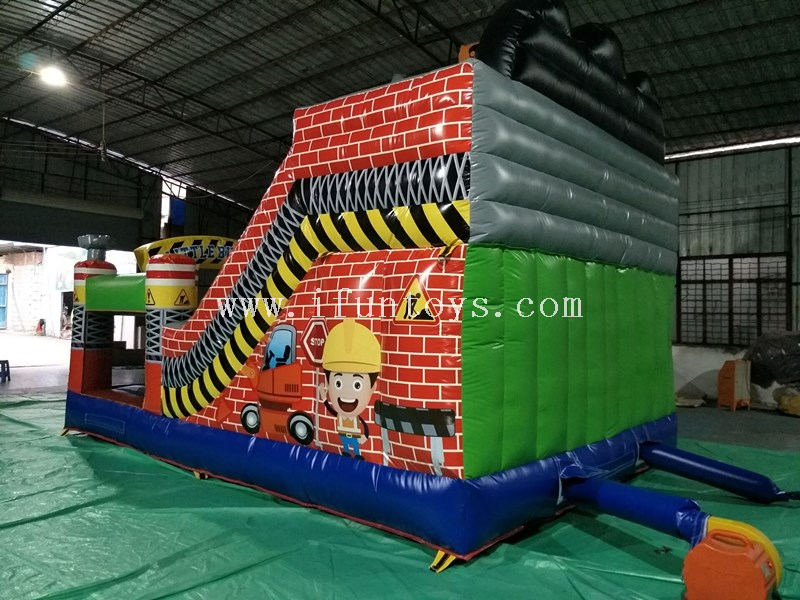 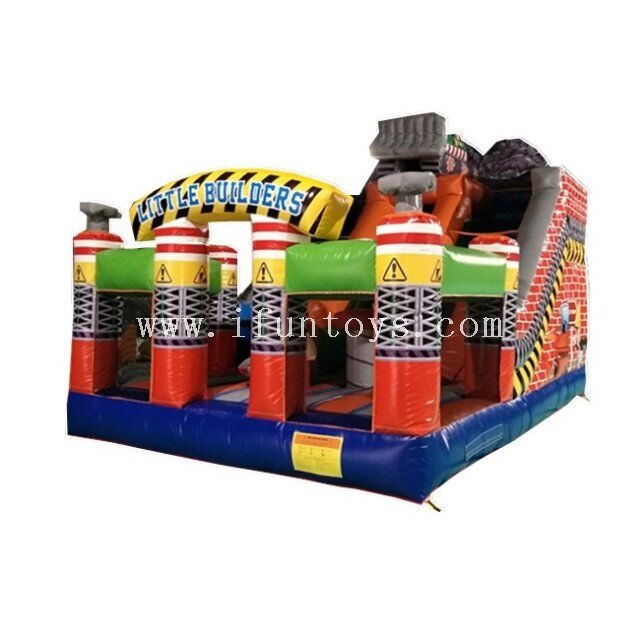 Usage: Advertisement,rental business,parties,clubs parks,squares,outdoor enterainment,backyard funn and other business functions.